This post will teach you how to play and construct Major 7th chords on guitar. 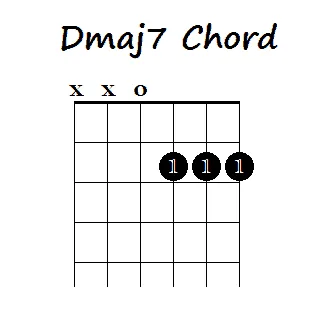 Major 7th chords are commonly confused with “dominant 7th chords but the two are different chords altogether. 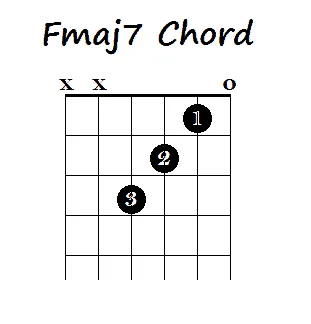 Major 7th chords are major chords with a “major” 7th. 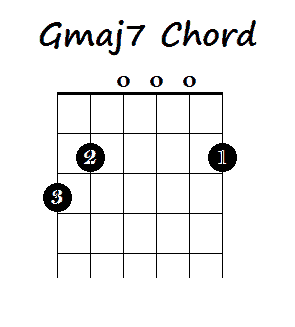 On the other hand, dominant 7th chords (the most common 7th chords) are major chords with a “minor” 7th note (a.k.a. flat 7th). If you are looking to learn dominant 7ths rather than major 7ths check out the links below. Major seventh chords are less common than dominant 7ths but can add a distinct flavor to your sound if you choose to incorporate them. For example a Dmaj7 uses a D (root), F# (major 3rd), A (perfect 5th) and C# (major 7th). Whereas the dominant 7th would use D (root), F# (major 3rd), A (perfect 5th) and C (minor 7th). As you can see there is only one note difference. Simply by changing the minor 7th note in the dominant 7th chord to a major 7th (up one semi-tone) you create a major 7th chord. If you are new to this it can sound really confusing but playing it out on the guitar will help it to make sense. Because a major 7th uses the major 7th note (just a semi-tone away from the root note) the chord tends to sound more dissonant than a dominant seventh and ironically sounds more “minor” (to me anyway) – despite the name. 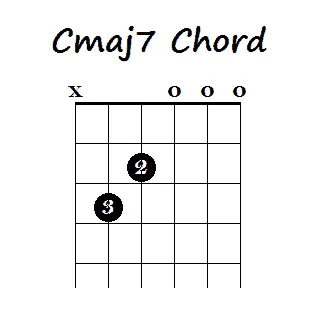 The most common way to write a major 7th chord is by writing “maj7” after the chord name. 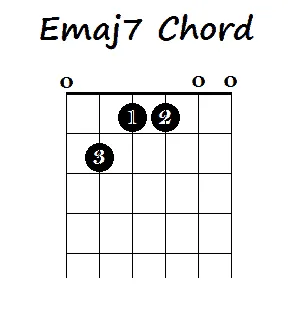 For example an E major seventh would be written “Emaj7”. There are other ways such as M7 (with a capital “M”) but maj7 is the most common and what I will be using in this lesson. 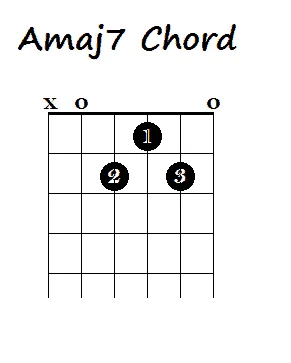 Below are the chord charts for 7 open major 7th chords. If you aren’t sure about chord charts check out the link below. Alternatively you could play this using your 1st, 2nd and 3rd fingers but I find it easier to barre the notes with 1 finger. Practice these chords and learn how to fit them in with other chords. These chords can really open up your repertoire whether you are learning songs or writing songs. 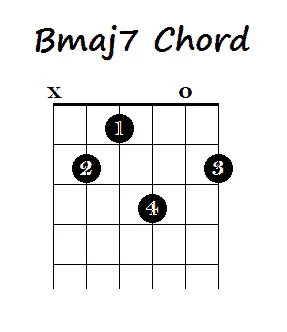 Next week I will take a look at how to construct major 7th chords using barre chords. Following that I will get into minor 7th chords. I hope you’ve found this post useful. If you have any comments or questions please feel free to leave them in the comments section below. If you think you’d prefer to learn via video lessons there are some good ones online these days. Check out some of my online lesson reviews here or check out the “online lesson reviews” menu above. Hi, thank you so much for the clear explanation and illustration! I am a beginner at playing guitar and this has helped me a lot. Now I guess it’s time for practice. Keep up the good work! You’re very welcome. Yeah definitely time for practice – consistent, structured practice is the key to becoming a great guitarist.